Here are 4 straightforward answers to help you understand and recognize the true ministry of a prophet and how to identify a true prophet. What if I told you, calling out names, addresses and bank account numbers are not a prophet’s highest calling? God may choose to share those details, but it’s far from what God intends for the office of a prophet. 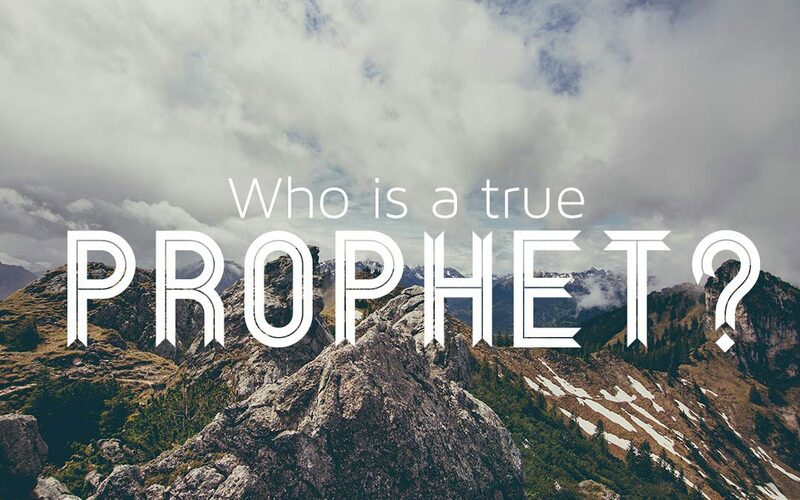 So what then is the highest calling of a prophet? Every prophet from Genesis to Revelation has one purpose, and that is to reveal Christ in all His glory and grace. All prophets point to Christ. There can never be a greater revelation than Jesus Christ (Tweet this). Prophets are God’s sticky notes in the church, constantly reminding us of who we are in Christ and what we have been called to do for His glory. Preachers speak to our situation, Prophets speak to our destiny. The purpose of all prophetic activity is to love people while leading them to their rightful place in God. Prophets are called to encourage, comfort and exhort the church. When we experience the true prophetic ministry, it’s one of the most powerful things that can happen to us. In that moment we hear and see what heaven is declaring over Earth and our lives individually. Prophets are submitted to a local church and leadership. This particular point can be a little difficult because a lot of churches are not equipped to handle the prophetic ministry. Many pastors fight prophets because they don’t understand the prophetic calling. Having said that, I have seen healthy prophets demonstrate submission even if it is to a leadership that doesn’t fully appreciate them. Prophets that are mature in Christ understand they cannot function independent of a local church. Some have glorified isolation to such a degree that everyone thinks its second nature to a prophet. It’s not God’s plan to keep any prophet in isolation. Prophets do not contradict scripture. The spoken word will never contradict the written word. If indeed the Holy Spirit is inspiring a prophet, then the spirit of God will not contradict His own word. I trust you have enjoyed the series on prophecy and prophets. If you have any questions or comments please let me know in the comment section. If you have subscribed to the blog, please consider signing up below.